Beginning in 2005 an exciting community effort was organized to restore Owls’ Nest Park. 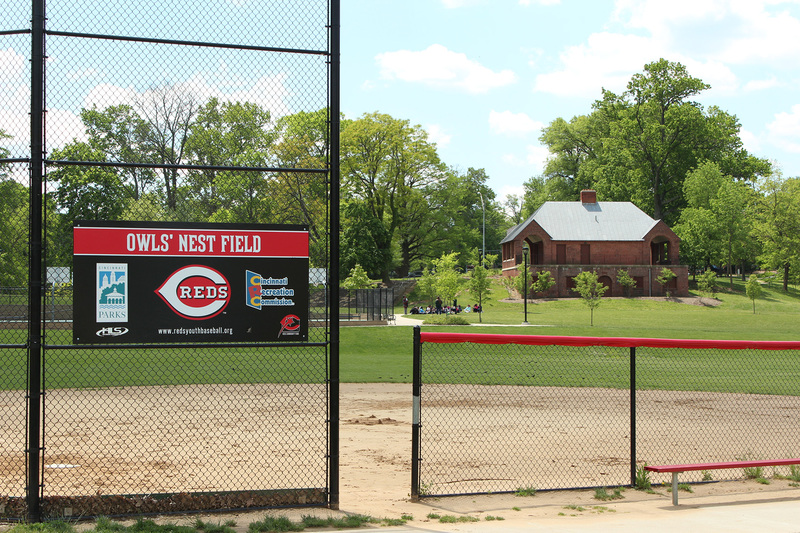 Recently, a group of residents from the neighborhoods surrounding the park, Evanston, East Walnut Hills and the O’Bryonville business district, have formed the Owl’s Nest Park Advisory Council. The mission of the council is to improve the beauty, accessibility, recreational/educational activities and community-building opportunities of Owl’s Nest Park. One of the greatest assets of the park is its location on the border of two different neighborhoods, Evanston and East Walnut Hills and at the edge of the O’Bryonville business district. It is also nearby to the neighborhoods of Hyde Park and Walnut Hills. In addition, the park is across the street from Cincinnati’s Academy of World Languages and close to seven other public and private schools. St. Margaret’s Hall is directly adjacent to the park and other residential care facilities are located within a short distance. The south edge of the park is along busy Madison Road, a revived arterial connecting Uptown to the many East Side neighborhoods. The north edge of the park is along residential Fairfax Avenue, a key east-west connector through Evanston.